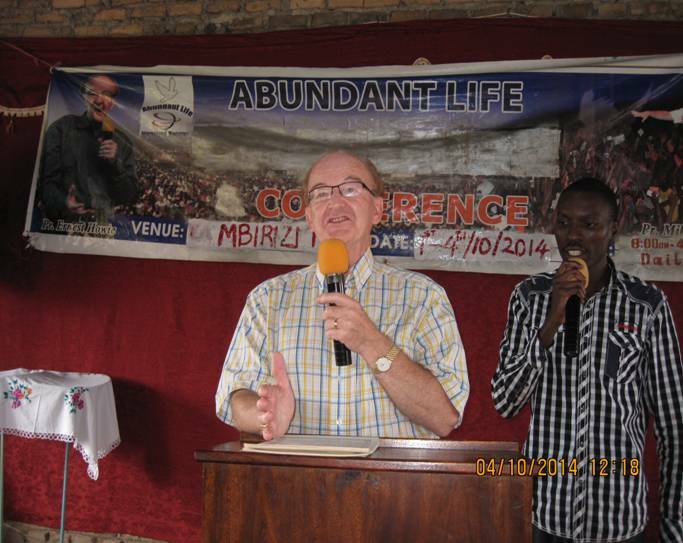 Abundant Life International Ministries (ALIM) under the leadership of Pastor Ernest Howie held this year’s 5th conference in the central Uganda towns of Mbirizi in Lwengo district and Kyotera in Rakai district. 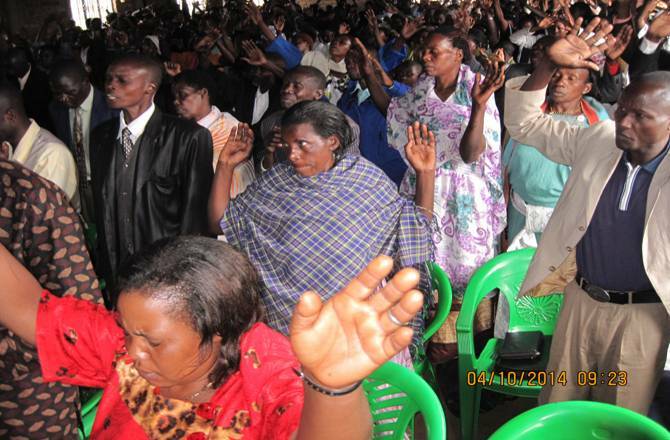 The conference in Mbirizi took place on 1st -4th where 700 participants and that of Kyotera was 6th – 9th where 350 participants attended. .
Pastor Ernest maintained his confession to the Pastors and leaders in both conferences that he was in these towns in obedience to God’s call upon his life of teaching the word to God’s people. His opening remarks reflect the ethos of this call in making a contribution towards a knowledgeable and entrenched Church in the word of God. The teachings hedged on Hosea 4:6—“My People are destroyed for lack of knowledge”; Mal.2:7—“For the lips of a Priest should keep knowledge, and People should seek the law from his mouth; for he is the messenger of the Lord of hosts”; Ps. 25:4-5—“Show Me your ways, O Lord; teach me your Paths, lead me in your truth and teach me”; Ps. 43:3—Oh send out your light and your Truth! Let them lead me: let them bring me to your holy hill and to your tabernacle. Pastor Ernest maintained that a word knowledgeable Church is an overcoming one, and it is knowledge that is going to cause a difference in the church. 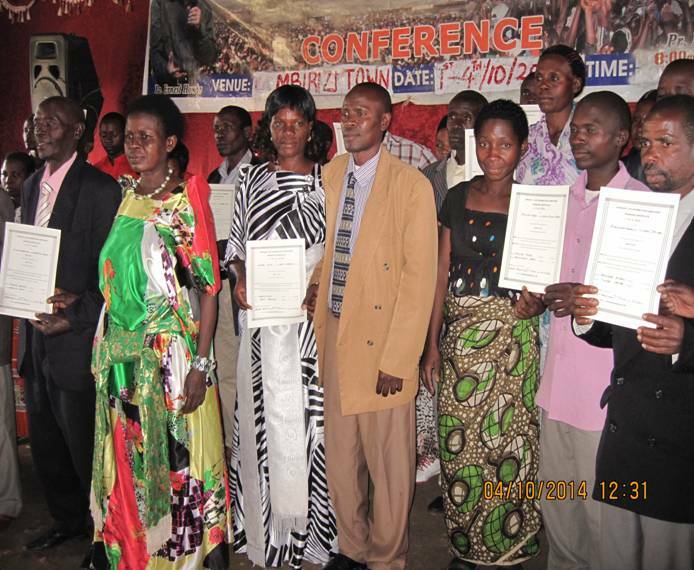 The conferences were organized and coordinated by Pastor Elisha for Mbirizi and Bishop Eldad Nyanja for Kyotera. The intended objective of these conferences was to refocus the Pastors and leaders in these districts to the word of God and to the Biblical principles that underpin these teachings as the ultimate foundation of the church. The conferences attendance was 700 participants for Mbirizi and 350 delegates for Kyotera. 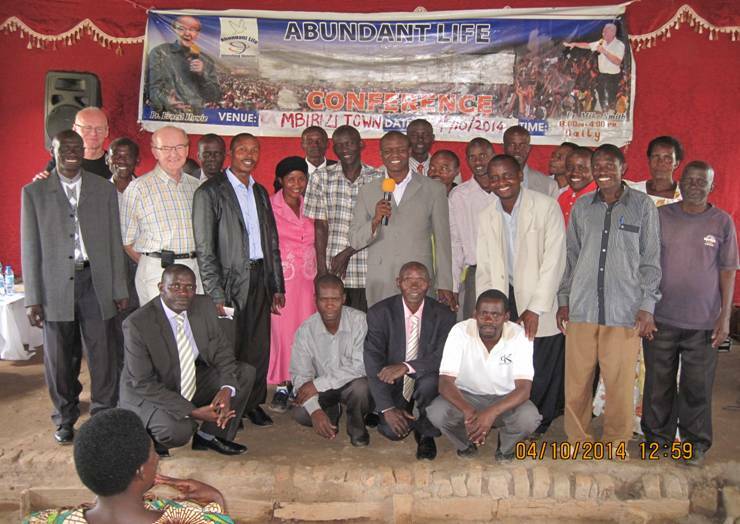 The conference in Mbirizi was held at Calvary Church Hall and at ELIM Pentecostal Church in Kyotera. The conferences started at 9.00am and ended at 5.30pm with a lunch break at 1.00pm. The conferences were both residential for participants from far towns and communities, and those who live nearby came from their homes. 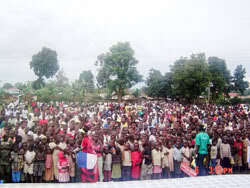 Three hundred delegates were residents in Mbirizi and 200 in Kyotera. Meals were provided for all the participants. The conference officials hired the catering services that prepared the meals and served them. The meals arrangements were simple and well managed at all times. The teachings generated a lot of interest from the participants and this was exhibited in their response to the word. 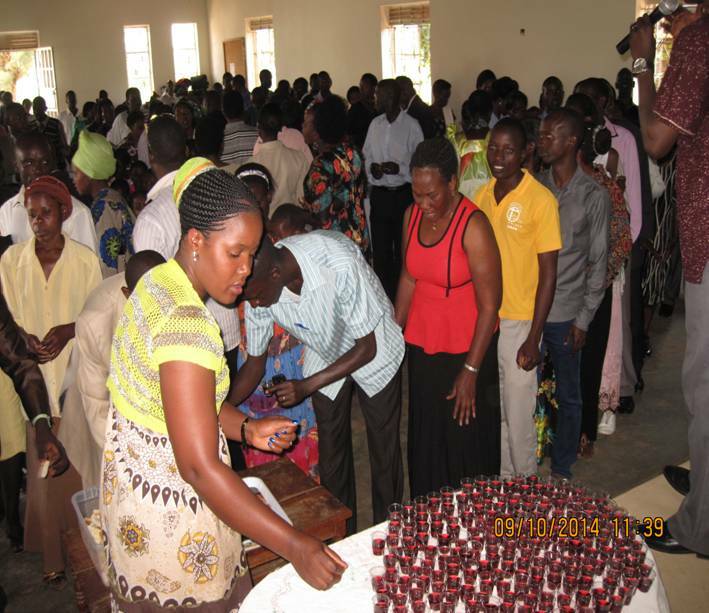 As a result of the teachings, many participants yielded to the baptism of the Holy Spirit (photo 3), responded to carrying out community work by delivering food parcels to communities and hospital and partook Holy Communion. The pastors and leaders who attended the conferences testified of how much they were blessed and made a commitment to carry on the fire. The teachers taught about the importance of the church being part of the community. 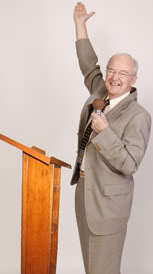 In this way, the church will be relevant as it yields to people’s needs and looking out to encourage them. A healthy church serves the community through the week and a Sunday is a day of fellowship and celebration. The conference participants responded to the message by going out to the communities where they prayed with families and gave parcels of food to those in need. 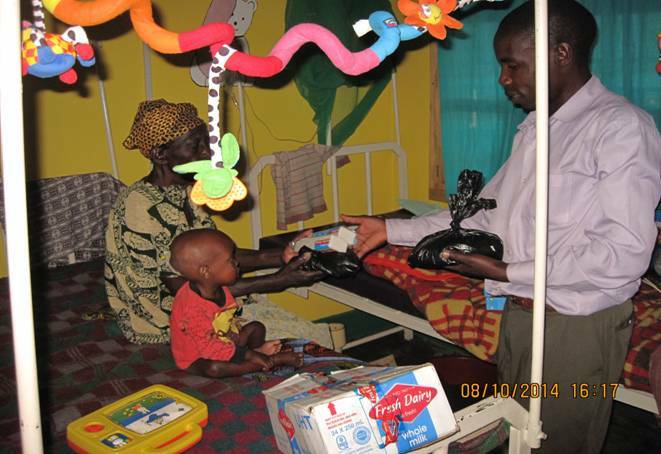 The community hospital was also visited. After the teaching on marriage as God intended, 16 couples responded to the marriage alter call to be wedded in the sight of God. The teaching expounded on the importance of Christian marriage and being wedded in the sight of God as this brings peace in the family. The teachers exposed the danger of living and practicing traditions that encourage marriages to be lived contrary to the word of God. Many marriages in the country demand for expensive weddings and payment of dowry and because many people cannot afford they end up living together without being wedded before God. 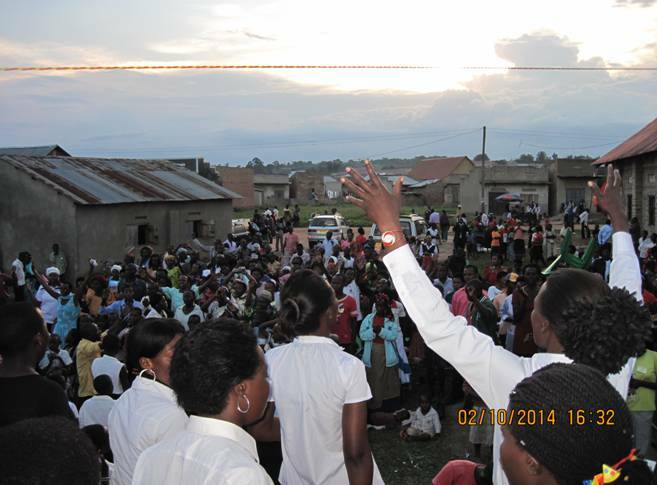 At the end of the message 16 couples responded to the marriage alter call from Mbirizi and 2 couples in Kyotera. In all 18 marriages were sanctified in the sight of God and were given certificates of marriage before God. Communion, the fourth pillar of the early church besides prayer, the word and fellowship was taught and carried. This sacrament signified the importance of the church as one with a single mission and purpose to bring glory to God in remembrance of what it cost Jesus to take away the sin nature of man in exchange for his divine nature. After the communion, the pastors and leaders were commissioned to go and serve the Lord with zeal, Knowledge and understanding. During the days of the conference, the Local committee organized a gospel outreach (Crusade) in the evening. These took place for 3 days and 15 people gave their lives to Jesus Christ as their personal Lord and savior. 15 people gave their lives to Jesus Christ during the crusade. In the similar period of time, Pastor Ernest and Mike visited My Father’s House Children Home. 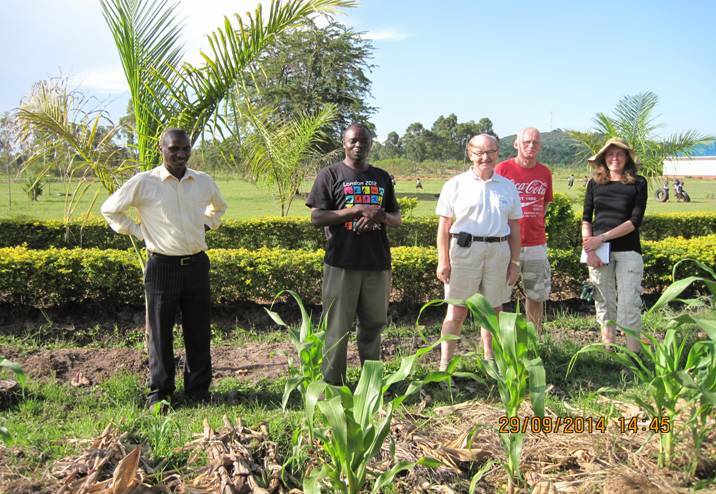 During their visit, the two encouraged Roslyn Kee a volunteer at the Home who is keen to make a contribution to food production in the home using “Farming God’s Way” methods. At the same time, the team prayed for the children and encouraged them to love God and to work hard, because God loves hard workers. Sincere thanks to the Almighty God for His grace and the abilities he has placed in his servants as manifested in this record. We shall forever be grateful to the Lord our God for enabling Pastor Ernest Howie to stand up to the challenge together with Pastor Mike. May God richly bless you. We appreciate the efforts of Pastor Samuel Sombi and John Faith for coordinating and making arrangements with the local team of Pastors on the ground. Thanks to all the participants for turning up, you are the reasons for the conference. 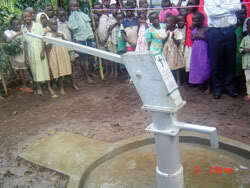 Blessings to all, Compiled by JOHN FAITH MAGOLO ALIM/HCCT-UGANDA.